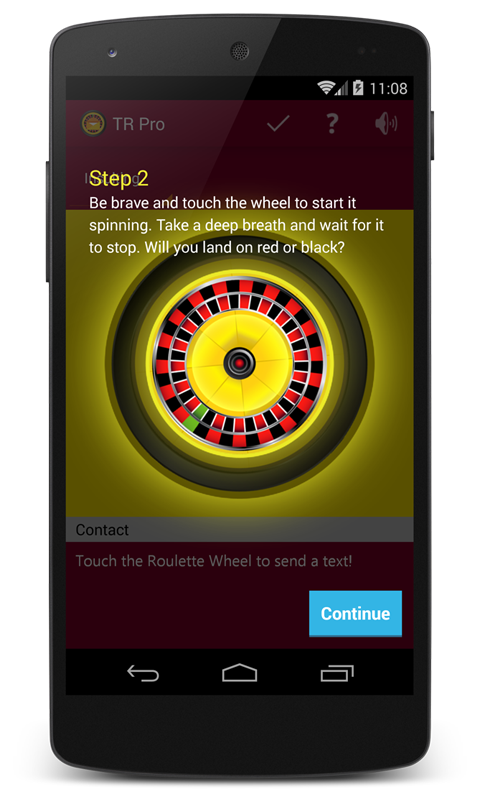 Are you brave enough to play the SMS text game, Text Roulette. 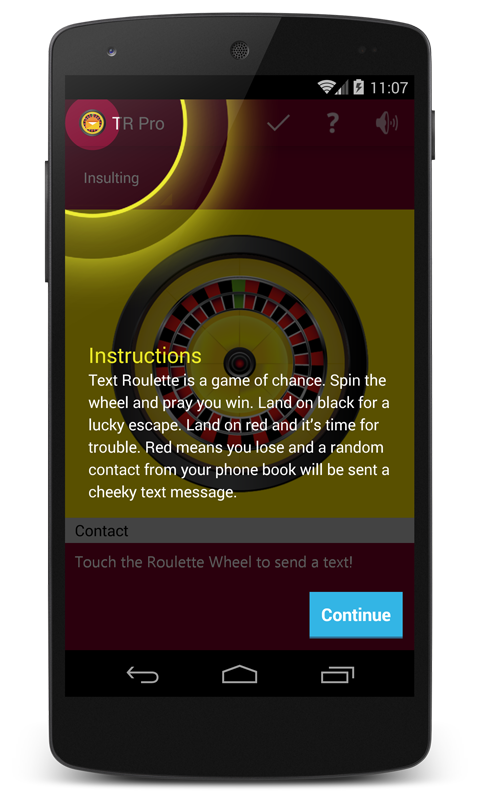 Text Roulette is a game of chance. Spin the wheel and pray you win. Land on Black for a lucky escape. Land on red and it's time for trouble. 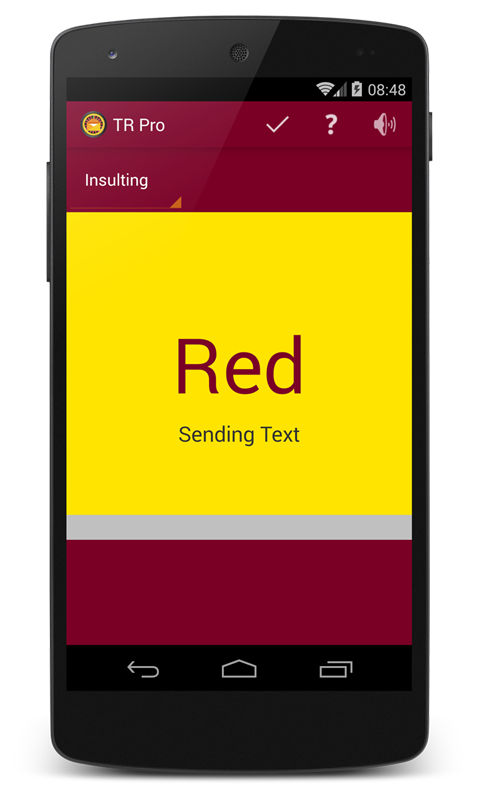 Red means you lose and a random contact from your phone book will be sent a cheeky text message. You have no way of backing out. 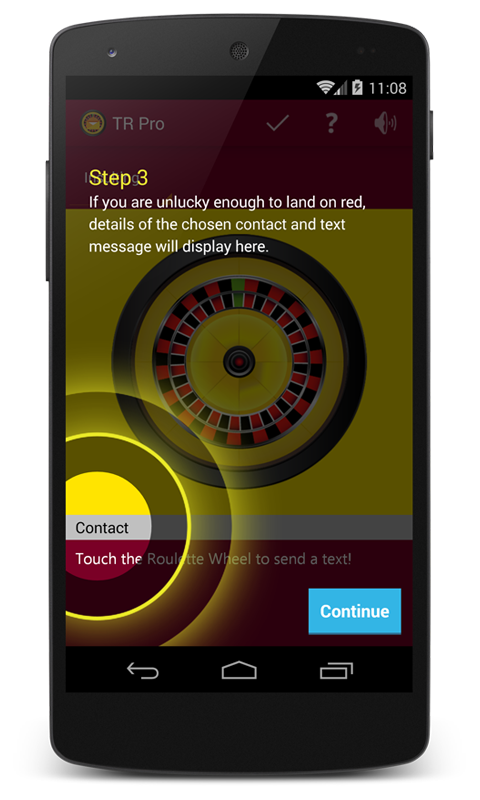 Once the wheel lands on red, a text will be sent. 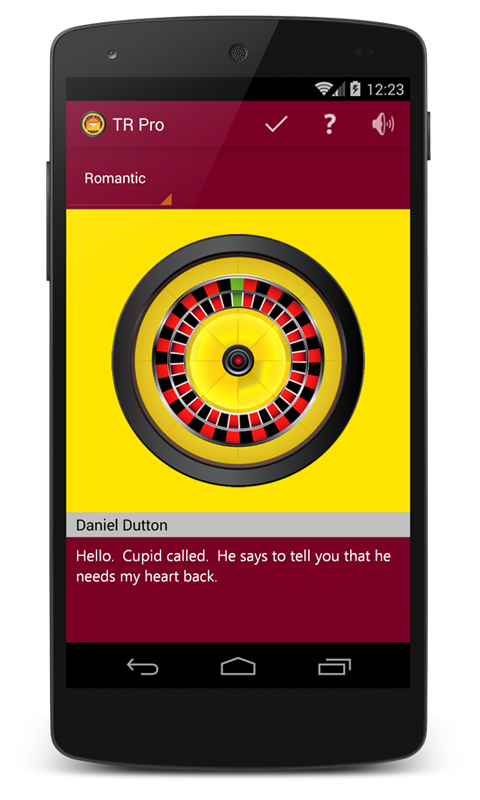 A contact is picked at random followed by a text of your chosen theme. Offend your friends, family and co-workers. Have to explain to your mother why you text her at 2 a.m giving her pickup lines. Have your friend download the app and have a two player. The more people play the more fun it becomes. Buy the Pro version of the app to enjoy the following features:- 1. The Pro version is completely Ad Free 2. 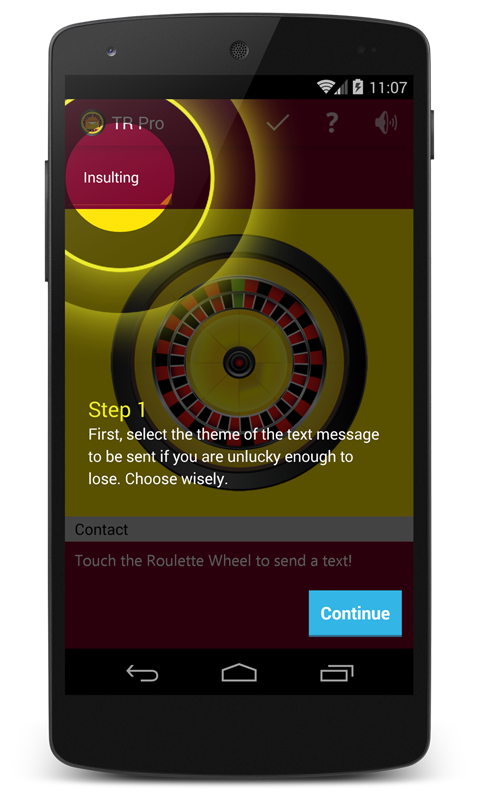 Sent texts will not be stamped with the Text Roulette Google play link. 3. Extra text message content.